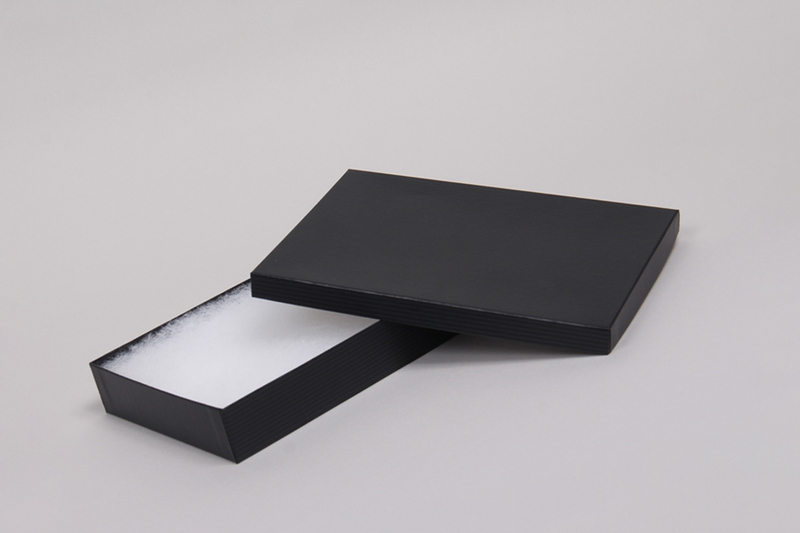 Two-Piece ready to use jewelry boxes with plush synthetic cotton padding that won't tarnish jewelry or metal. 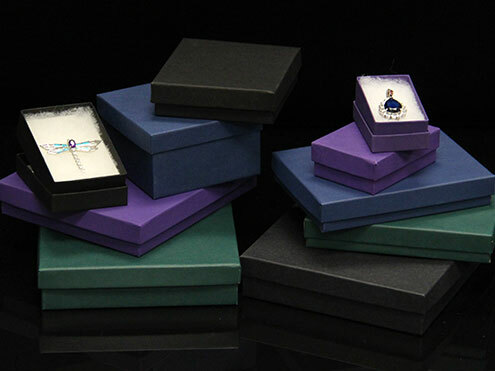 Shop our selection of unique colors, styles, and special finishes. 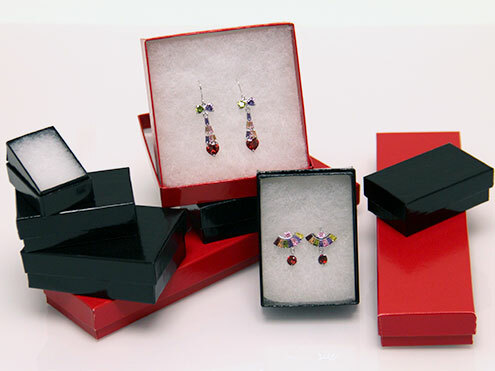 All of our jewelry boxes are available in popular standard jewelry box sizes. 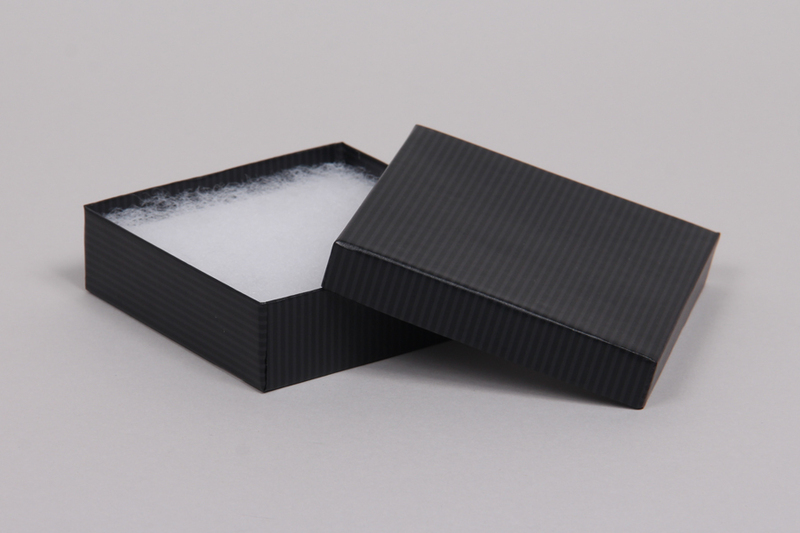 Our in-stock cotton filled jewelry boxes are a convenient, pre-assembled two-piece set-up box with extremely plush synthetic white pads. 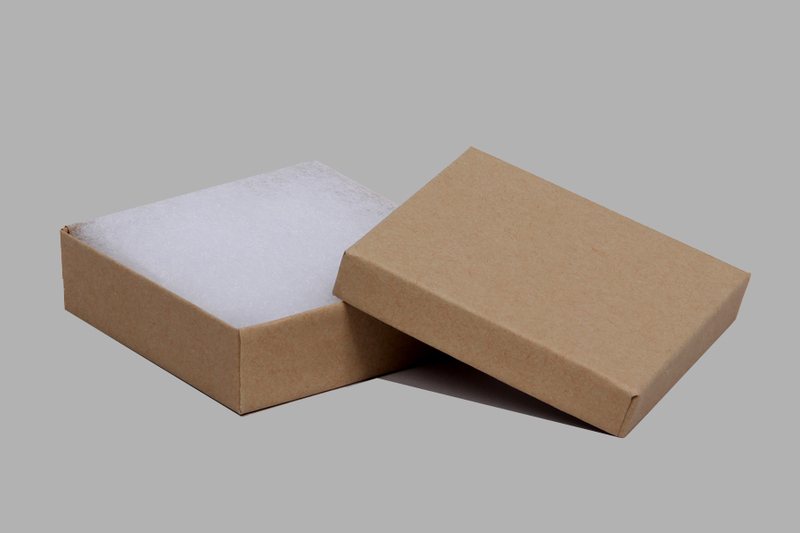 The fluffy white plush pads included inside the jewelry boxes are highly regarded due to the non-tarnishing polyester fiber that they contain. 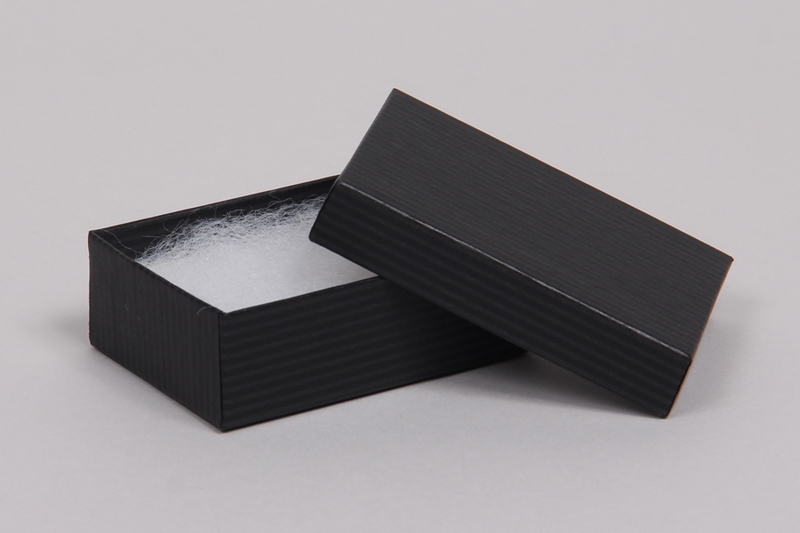 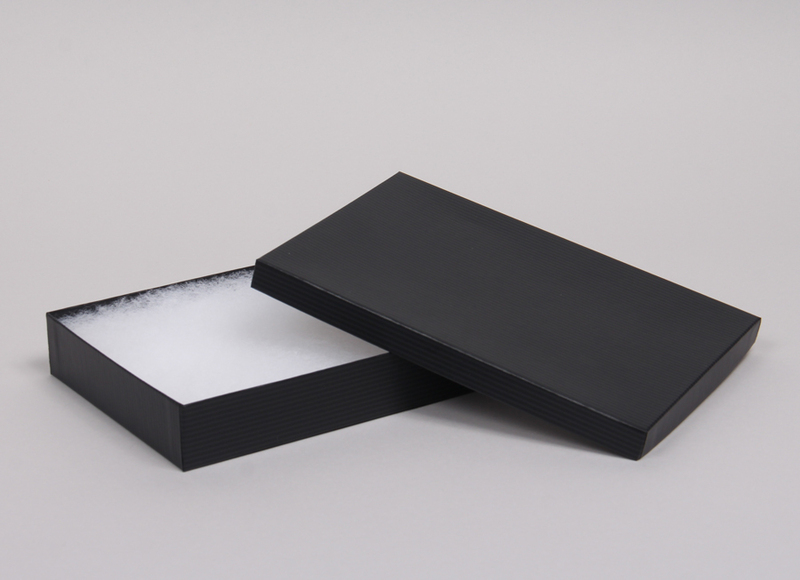 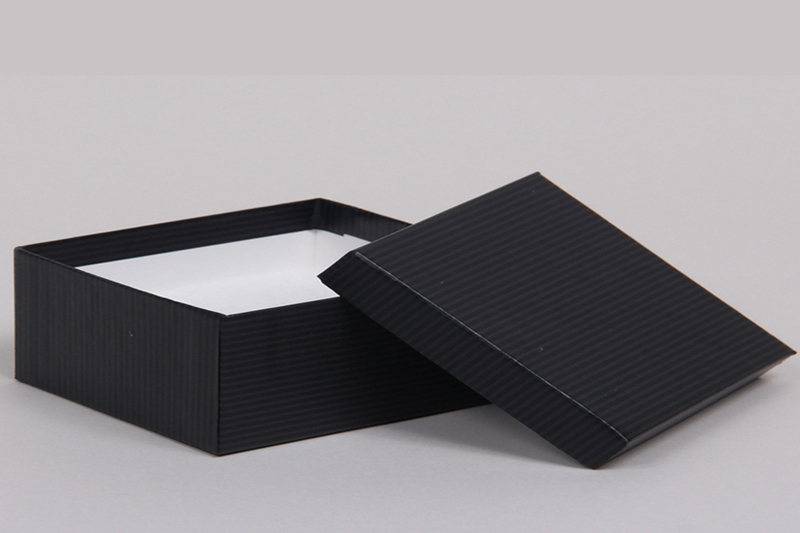 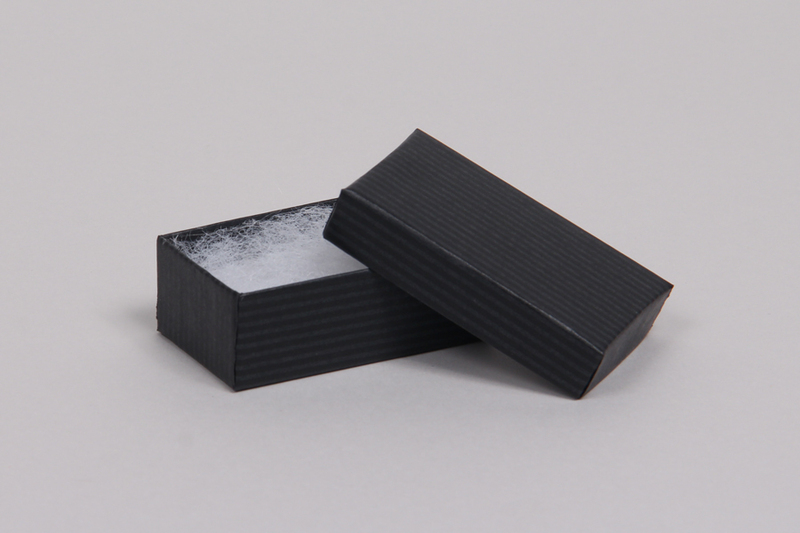 These jewelry boxes are a classic and sophisticated box option for gift or retail packaging. 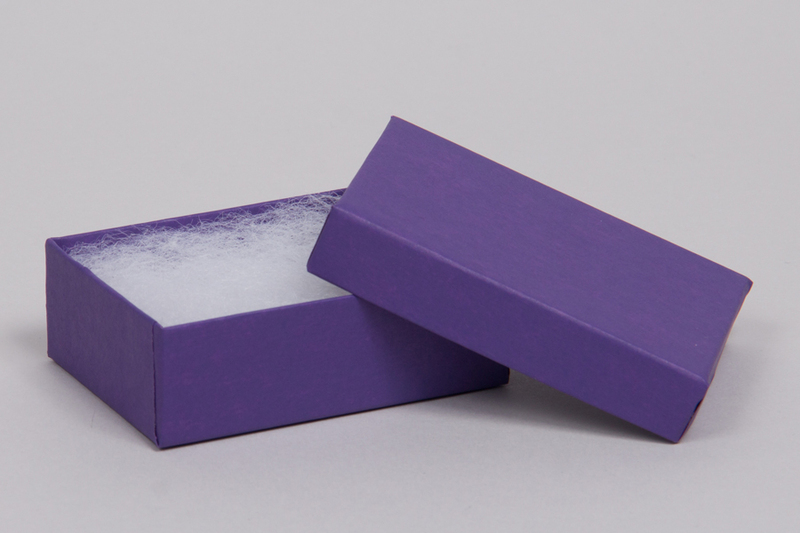 These jewelry boxes are available in numerous elegant colors and finishes including metallic and textures. 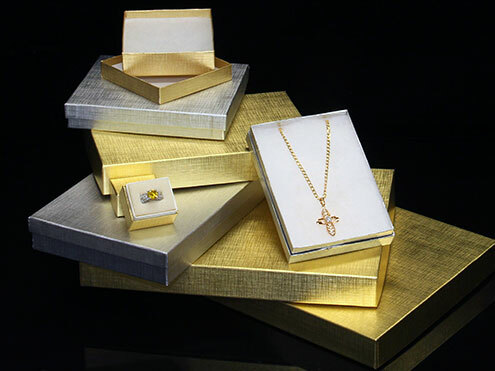 Various sizes are also available to be sure any piece of jewelry will perfectly fit, from a delicate pair of earrings to a large pearl necklace. 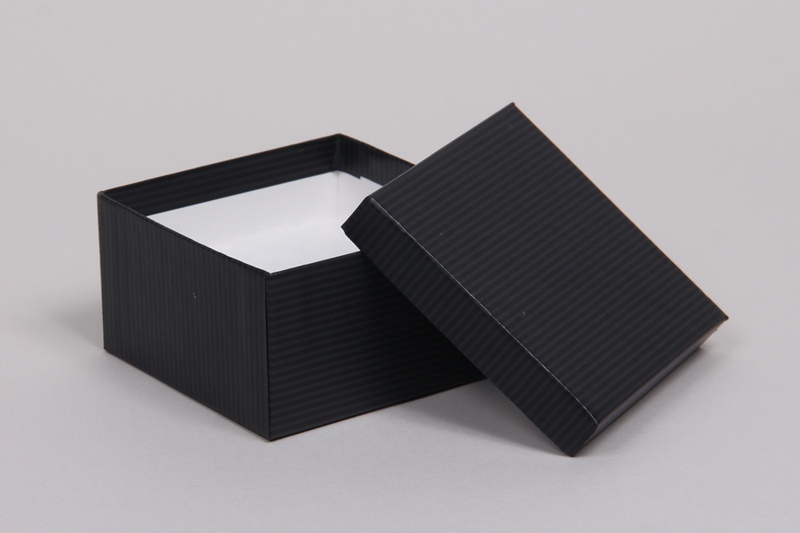 Jewelry boxes are an ideal packaging solution for many types of jewelry and accessories, and they come at an always affordable price. 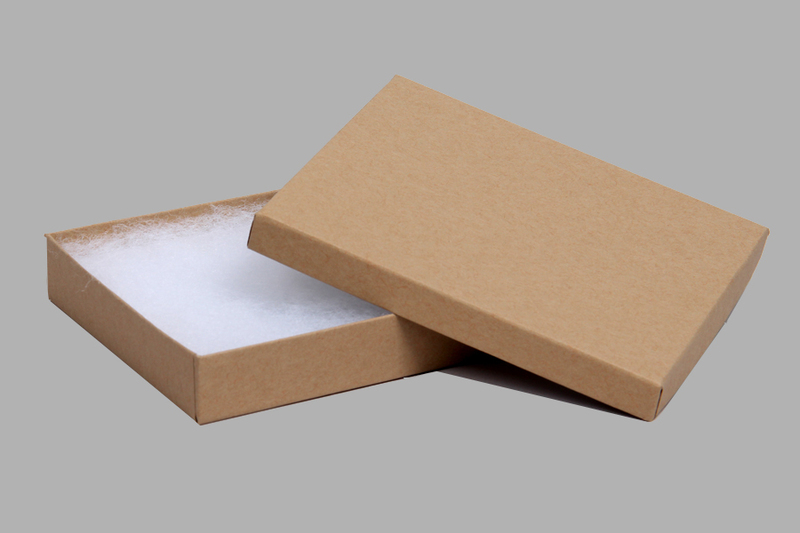 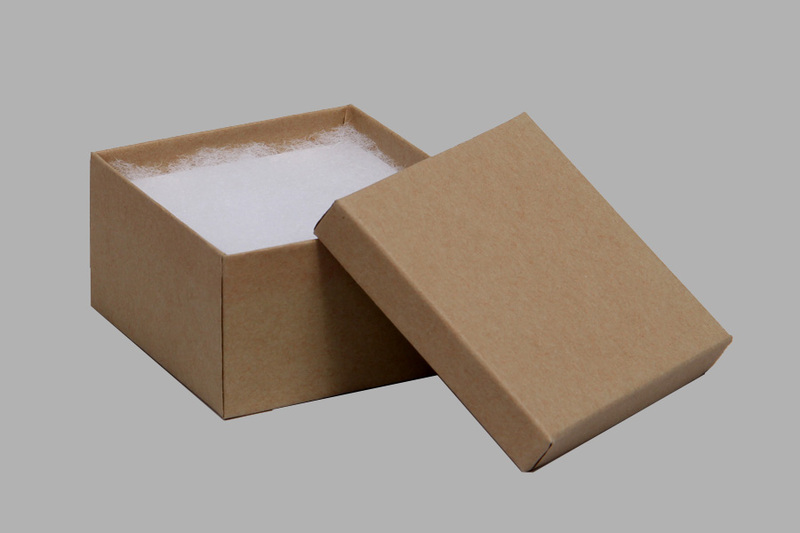 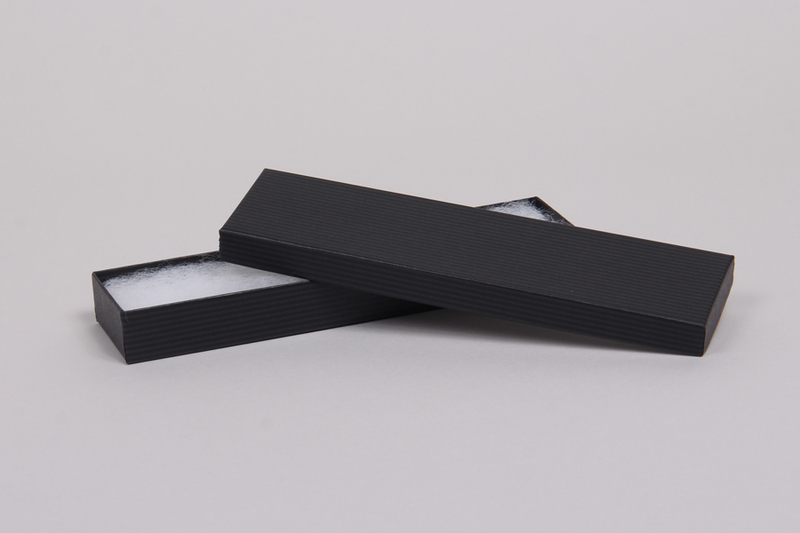 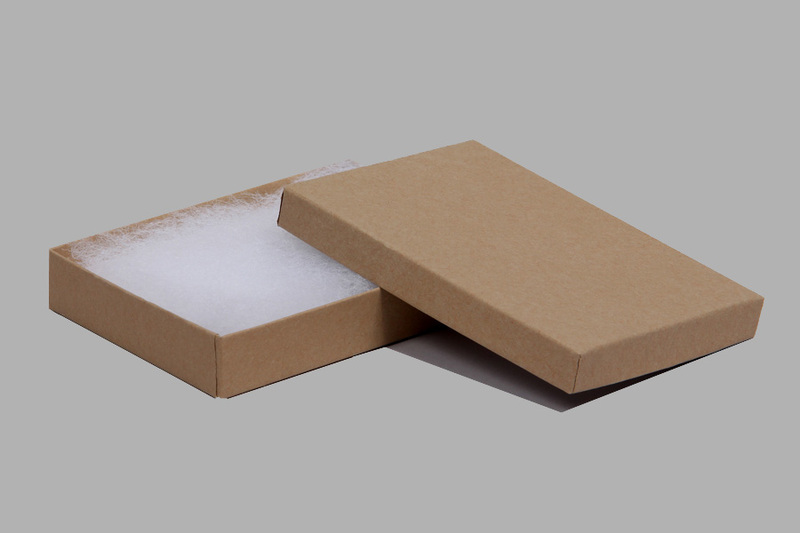 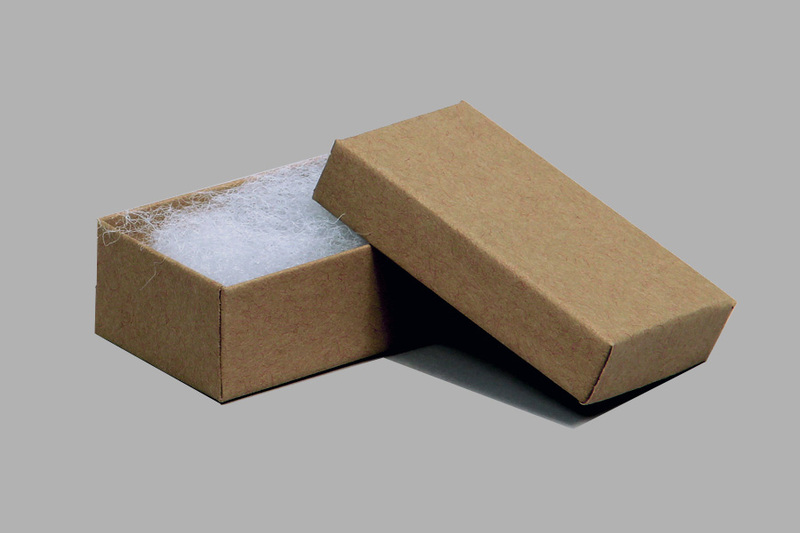 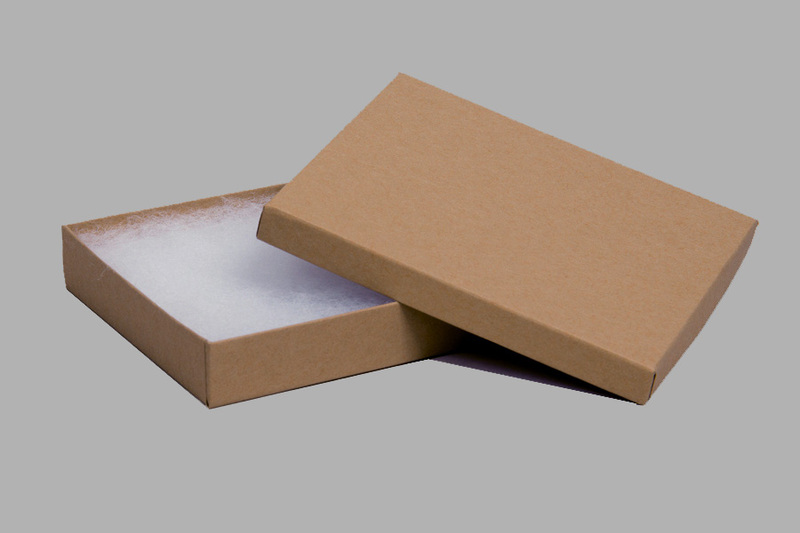 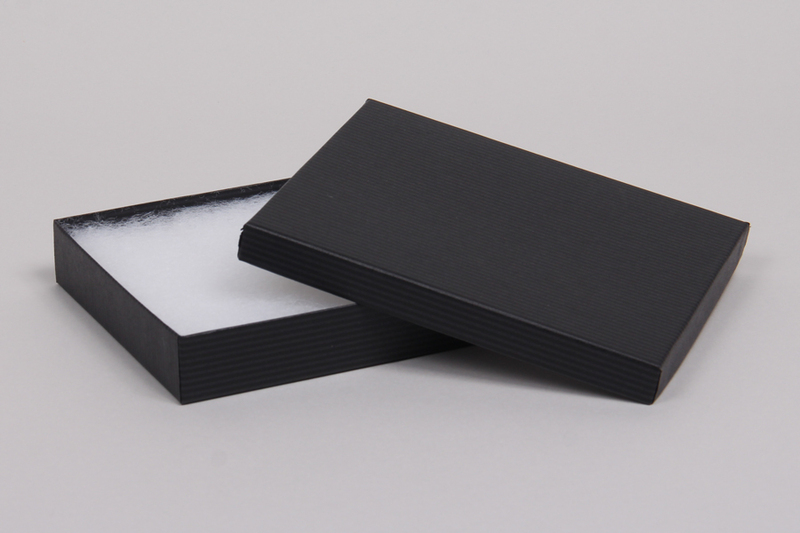 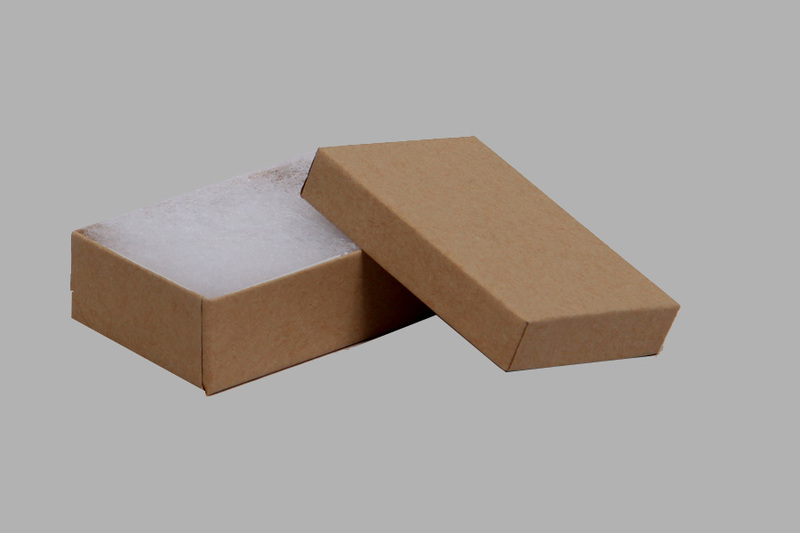 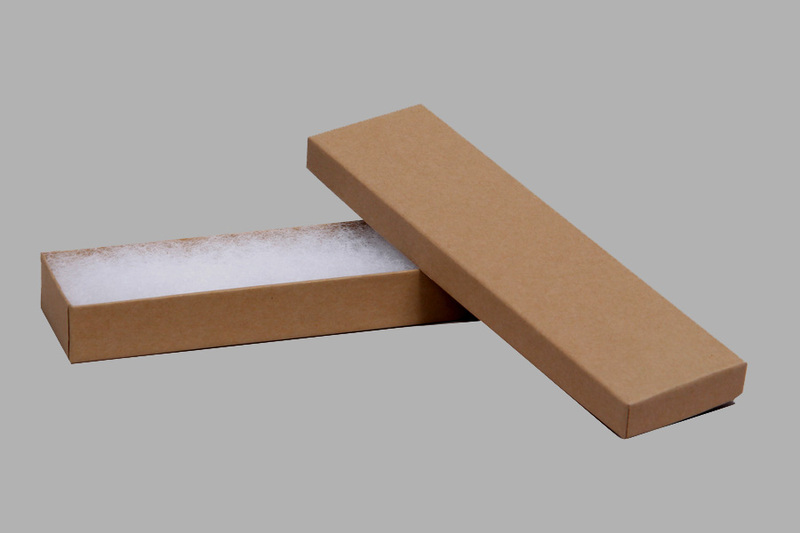 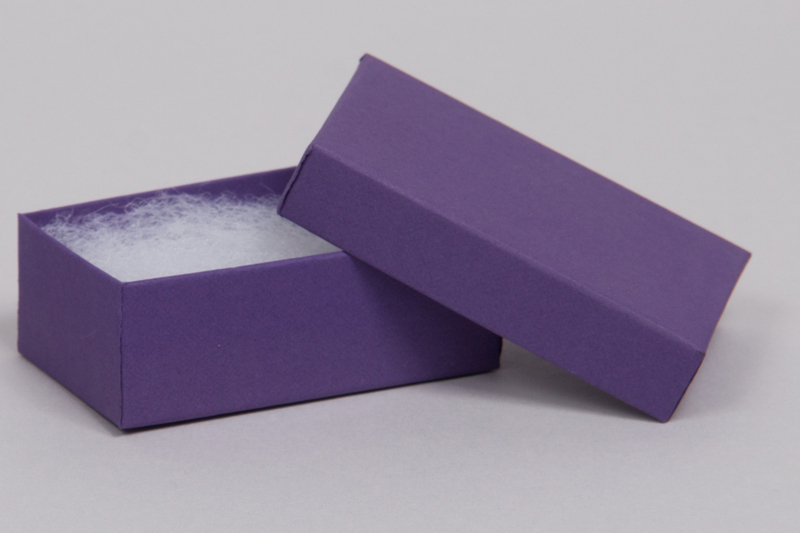 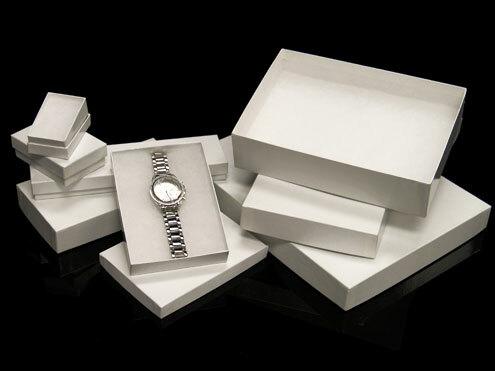 The two piece boxes arrive ready-to-use with the included white plush inserts, these are the best all-in-one jewelry boxes for retailers. 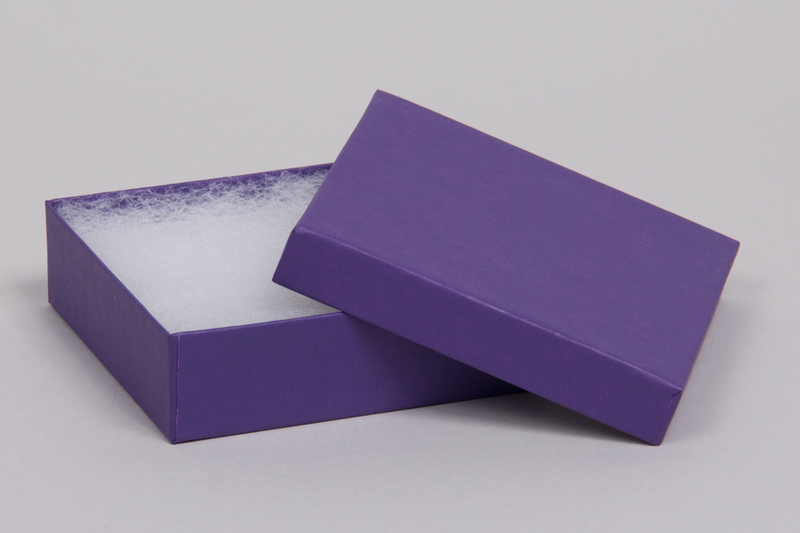 Some of our most popular jewelry box options are our matte colors, natural kraft and white gloss jewelry boxes. 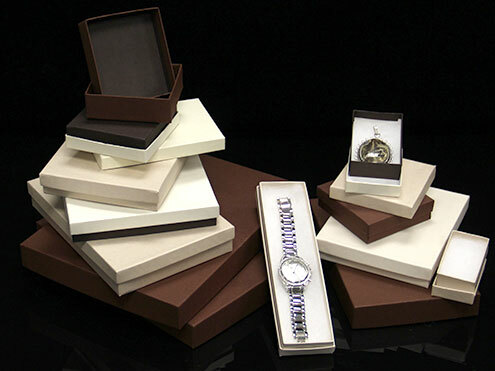 We offer a variety of matte and gloss colors, natural kraft, metallics, and textured boxes to fit every style and occasion.